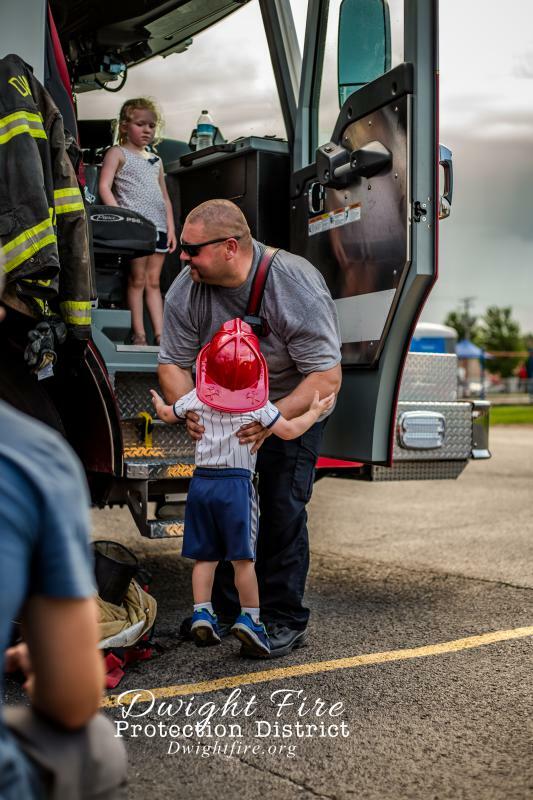 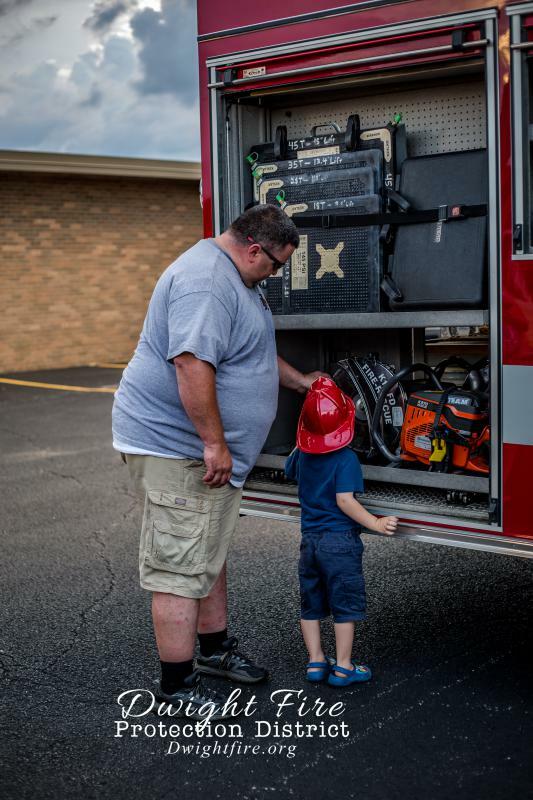 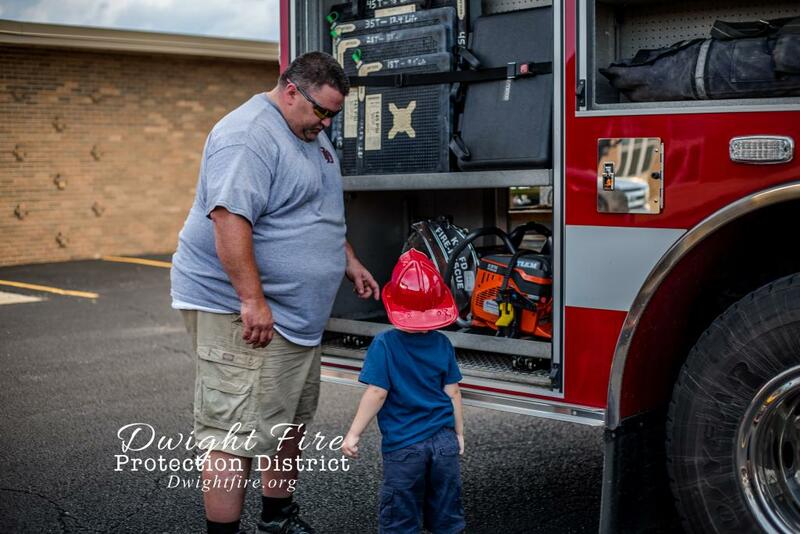 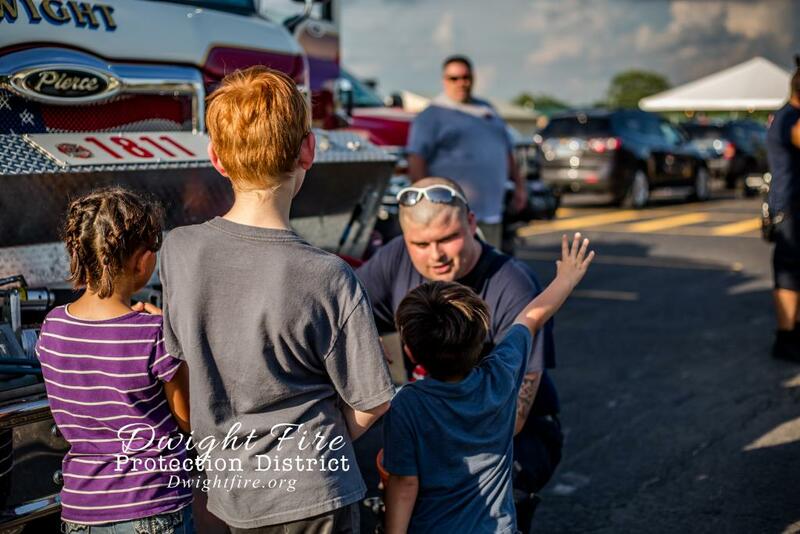 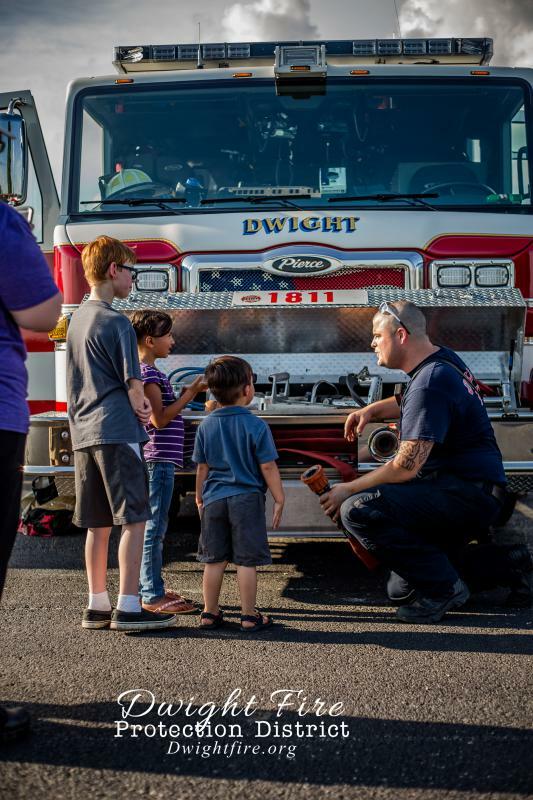 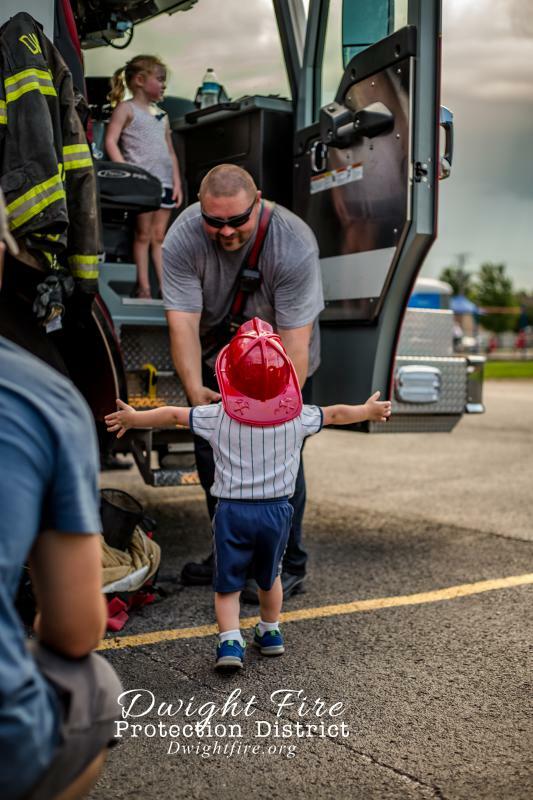 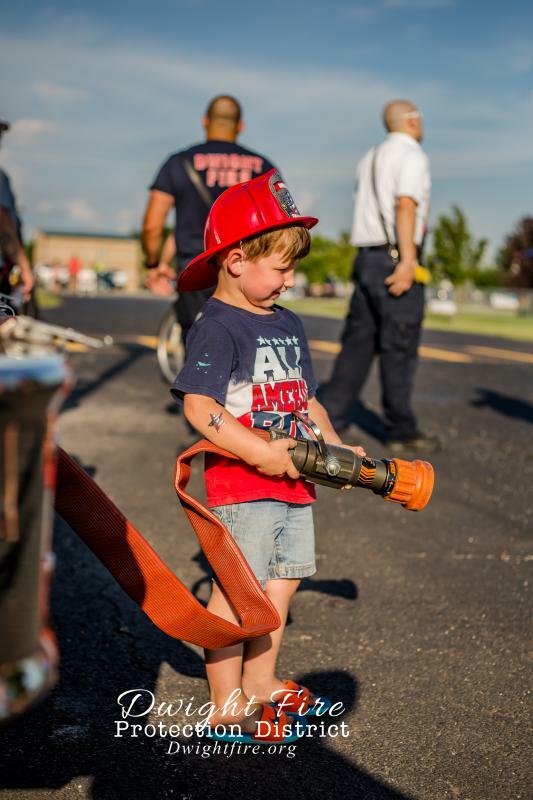 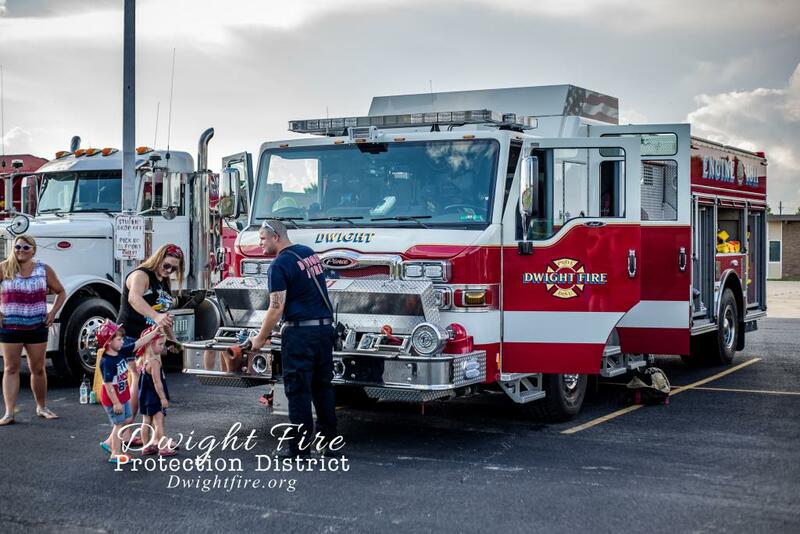 The Dwight Fire Department participated in the Dwight Economic Alliance’s 4th of July festivities by providing their trucks for the Touch a truck event. 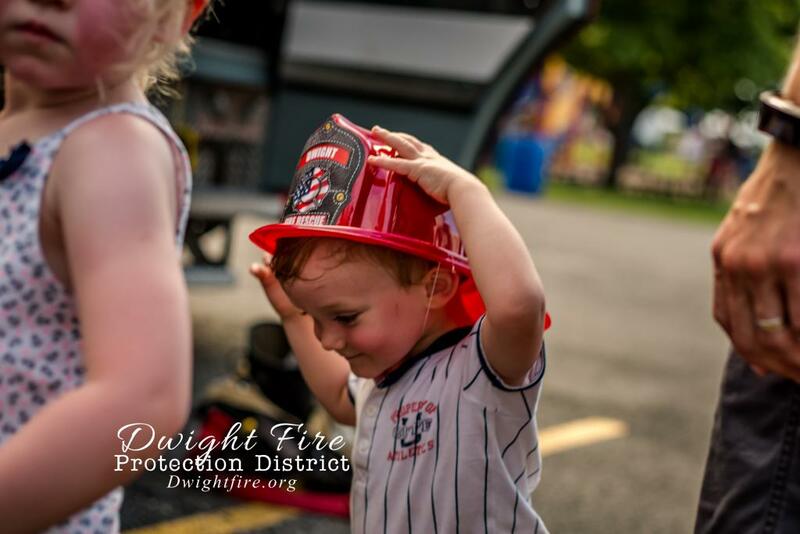 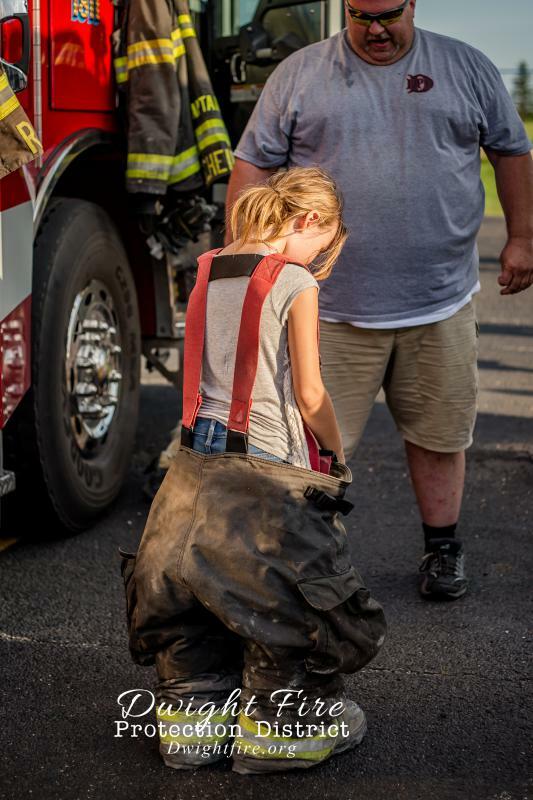 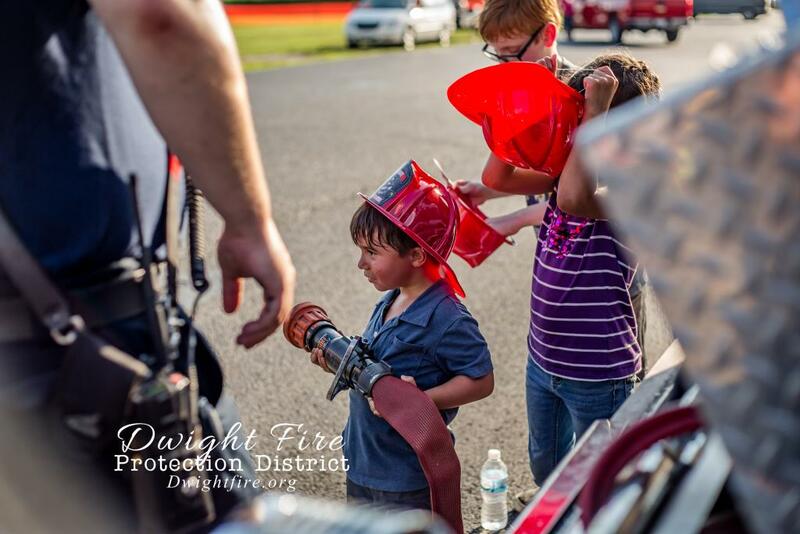 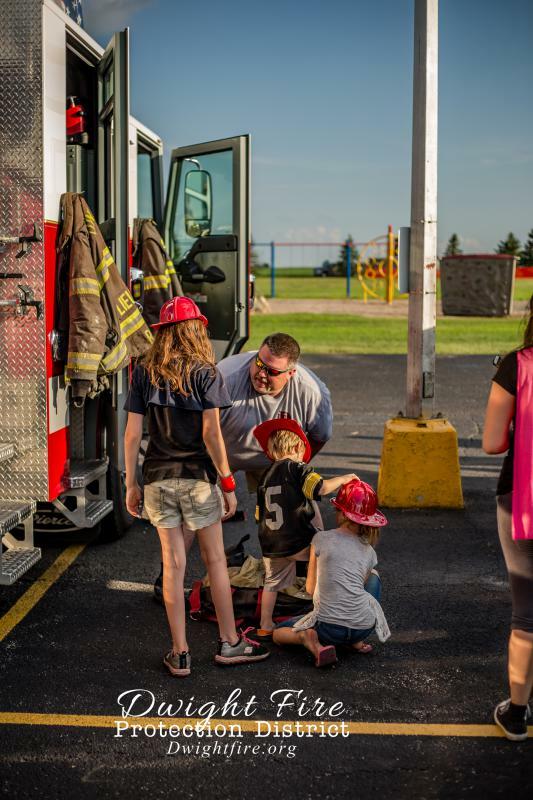 Children and parents climbed, sat on, and learned about Dwight’s Engine 1811 and Brush Truck along with a variety of vehicles that participated in the event as well. 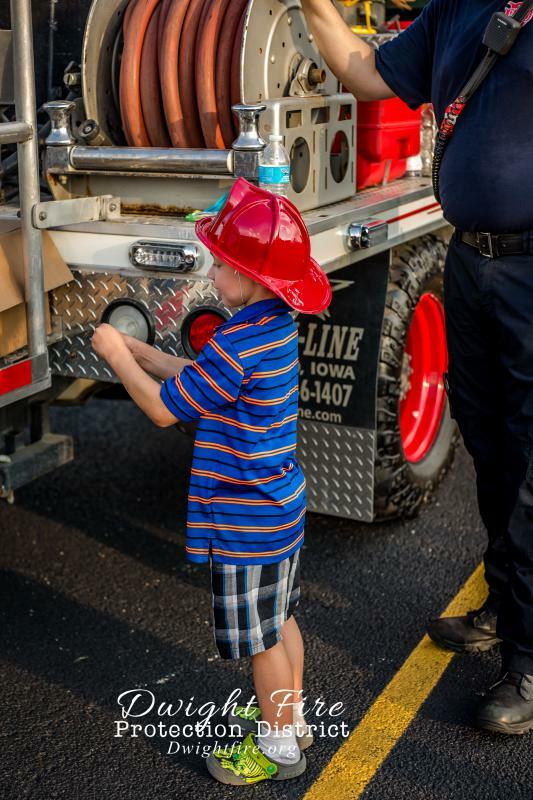 It was wonderful to see the children’s faces as they sat in the seats of these large trucks.